The days are getting shorter, the weather less comfortable to ride, it is the time of the year to do some housekeeping. 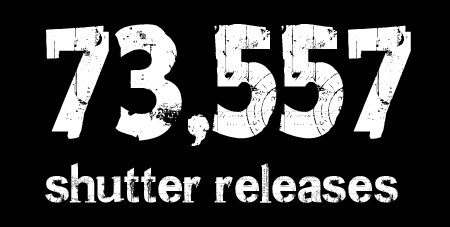 Some of you may remember my post of 2 years ago: 24,673 shots in a year, reviewing my then 1 year old D700, comparing it to the D4, and coming to the conclusion: Screw it, lets shoot the ride. This is only possible because we live in a digital age. 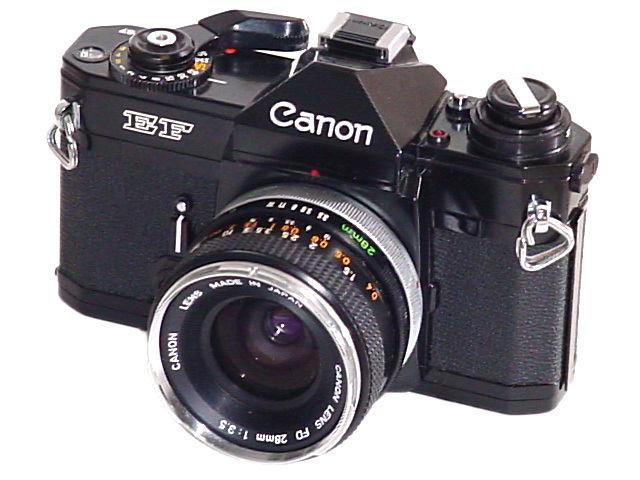 With my older Canon EF or AE1, which used negative film, such amount of photos would have been a very expensive enterprise. 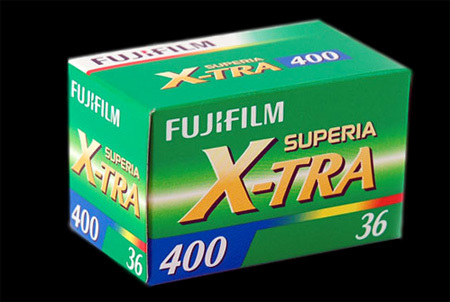 I would have needed 2,043 rolls of ASA400 Fuji or Kodak film, an at todays cost of such a film roll, I would have spend over £8,150 just on the film, and still would not have a single print to show around. Today, with the help of photo sharing platforms like SmugMug, Photobucket, Flickr or Picasa, the results are visible to a wide audience within few hours. Quantity is not quality, but it helps, specially where I am active most of the time: in event photography. 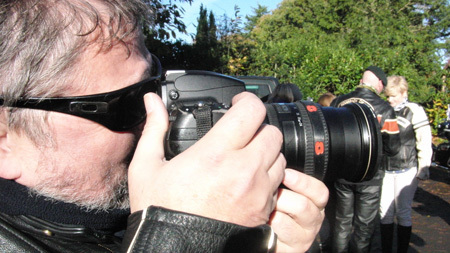 As Head Photographer of my Harley-Davidson Chapter I shot up to 100 events per year, and those Harley-Davidson motorcycles and their riders and pillions never stand still. Seeing or sensing a nice constellation, I usually take 2 or 3 photos in quick succession, and once you have a choice, one shot is always the better one. Less then 30% of all photos taken get “released”, what a waste this would have been in past “film roll” days. Back then, you thought twice before pressing the shutter release button, knowing that you were burning real money. In a active event photography, it would often have been to late. Only big budget professional photographers, selling their photos for good money, could afford the luxury every keen prosumer can enjoy today. Feel free to check out my photos taken for Hogsback Chapter in their SmugMug Photo galleries. Do you wear your Harley-Davidson plug left or right? Get excited, I am talking of the spark plug of your engine. 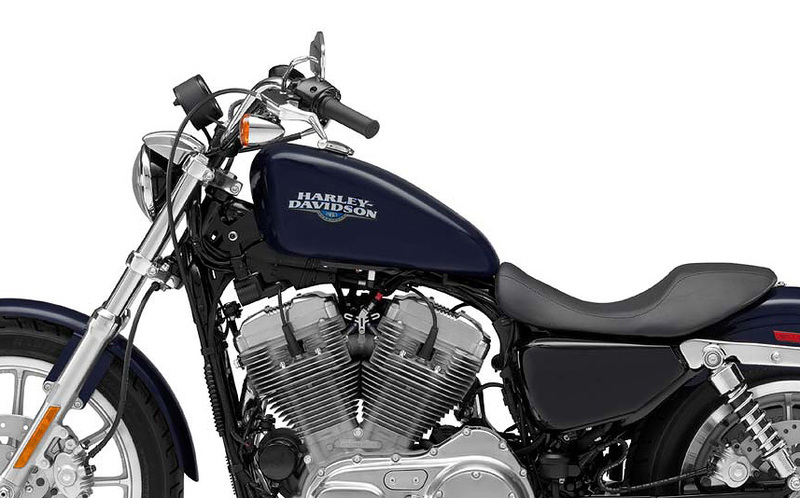 And as we are mainly taking about Harley-Davidson, its all about the position of the spark plug in a V2. 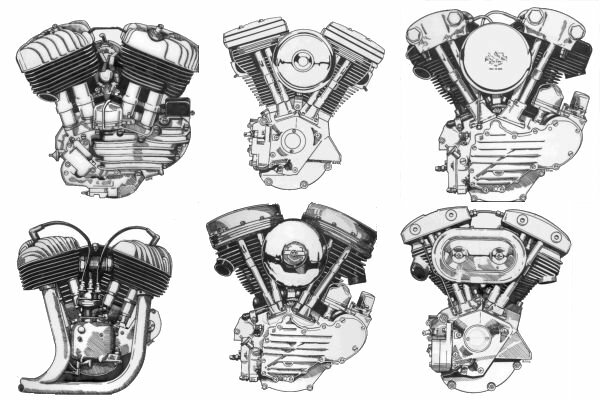 We all marvel, pretend to know everything and nod approvingly when we hear pseudo-technical terms like Knucklehead (36-47), Panhead (48-65) or Shovelhead (66-84), but who can really explain the actually existing technical differences in detail? 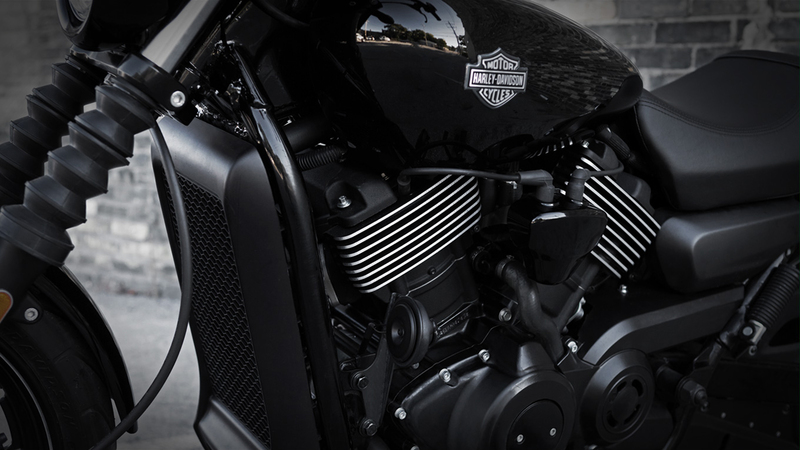 The names are just related to the distinct shape of the rocker boxes, and the average Harley owner will be able to categorise these engines into : old, older and very old. Here we are again, its all about design, but I like sometimes more background information (and trivia) on the actual technical path chosen. The “Vorsprung durch Technik” gene must be part of me. But back to the subject of this post. 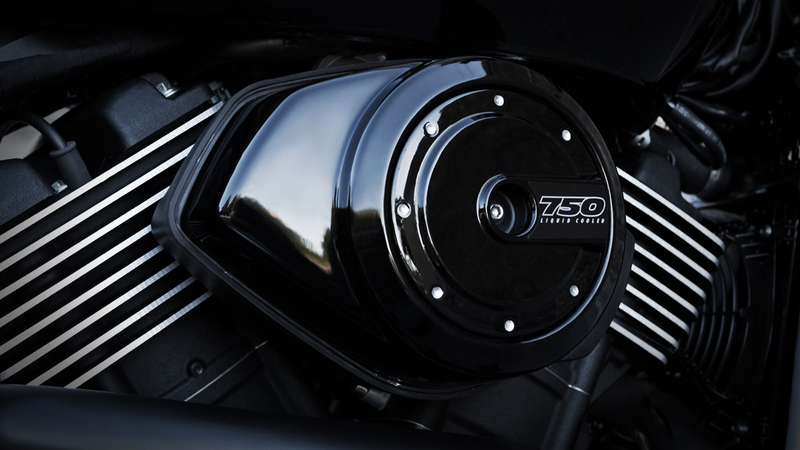 When I saw more detailed photos of the new Harley-Davidson Street 750, I was trying to figure out if this engine was just a baby copy of the V-Rod engine, or if it was a breed of its own. 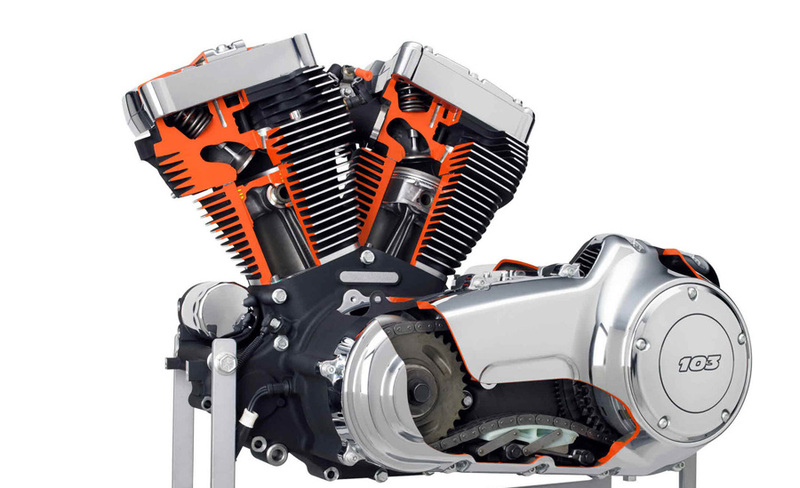 My take: the Revolution X engine shares very little with the V-Rod engine, except for the fact it has water-cooling, like millions of other engines in bikes and cars do. Its not a miniature V-Rod, though some screws and levers may well come out of the hughe Harley toolbox. You may have read my comparison of the Street 750 and the Honda VT750s, and while analysing V-Rod details, it suddenly struck me: the spark plug position. 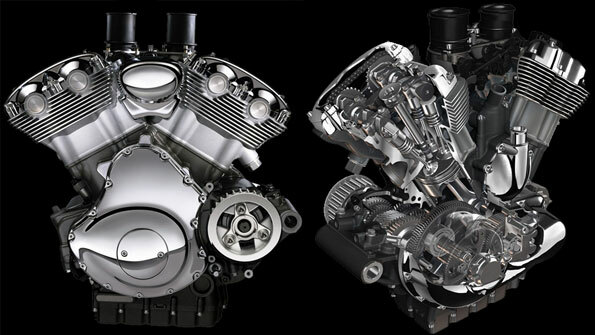 While the V-Rod has them plain in the middle of the cylinder head, the Street (and the Honda) have them on different sides of the bike. Front cylinder left, back cylinder on the right side. 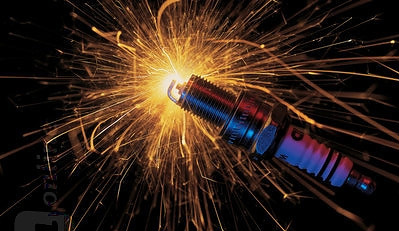 You may say: so what, the V-Rod got it right with the help by Porsche, as we all know that a centred spark plug enables a more homogenous explosion of the compressed fuel mix. This is also why some cars like Alfa Romeo have “twin spark” engines, trying to overcome the deficit of a off-center position of the spark. But that is not my point, if you look at the Sportser Evolution engine, or any big-bore V2 Harley-Davidson engine, the spark plugs of both cylinders are both on the same side, the left! I do not know if there is a simple explanation to this build, except the one that comes to my mind: it is just cheaper to build. Let me explain: in a V2, you want the injection and intake positioned centrally between the cylinders, and the exhaust at the front and back. If you take the front cylinder head and use it for the back too, and just turn it around by 180 degrees, you achieve that, BUT the spark plug suddenly ends up on the other side of the bike. If you want the spark plug on the same side, you have to design and build 2 different cylinder heads (front and back) with their respective valve positions, and that increases costs. Over to you, tell me what you know, as there must be many more reasons for either build. 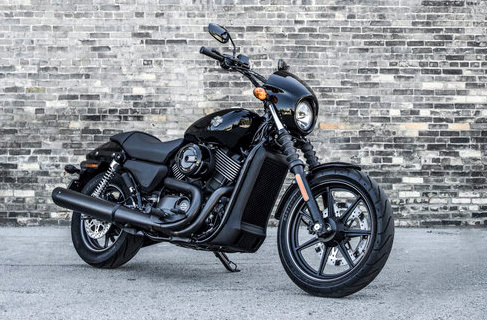 I know, the news on the new entry levels Harley-Davidson Street 750 and Street 500 are less then 24 hours old, and many details remain to be disclosed in a stretched out marketing hype. But we all expected this to come: less cc, more water cooling – who doesn’t want to save the earth. And it makes sense, as aspiring Slumdog Millionaire will not start his or her career on a Harley Ultra Limited. Its back to the roots for Harley. They know how to build smaller bikes, the Sportster range (starting at 883cc) is proof enough, I owned one, and loved it as city commuter bike. Now that I am retired I cruise the highways on a Road King, and regret to have sold my Sportster, it was such fun in the city on small runs. When I heard the news on the Street 750 my first worry was: did they get it right. Owning a handful of Harley-Davidson shares (just enough for a drink or two), I looked at close rivals, people selling this type of motorcycle by the truckloads: like Honda. Not sure why the marketing department of Honda added a “S” to the type names, as it has less power then the Harley Street 750. Comparing apples and pears, its 32.5kw for the Honda vs 55bhp for the Harley, levelling to 43.1 vs 55, thank you Porsche. Yes: Porsche! Zee Germans helped Harley to squeeze some more umpf out for the V-Rod, and their 60 degrees is the same angle on the Streets – not the potato potato of the 45 degrees on traditional Milwaukee vibrators. And not the odd 52ish something of Honda. Now look at the pictures, Harley knows how to present a bike. Why on earth does Honda think the mandatory horn placed next to the radiator is exciting design, its all clustered, looks like bolted on by bob the japanese builder. Ahh, the price tag you say. 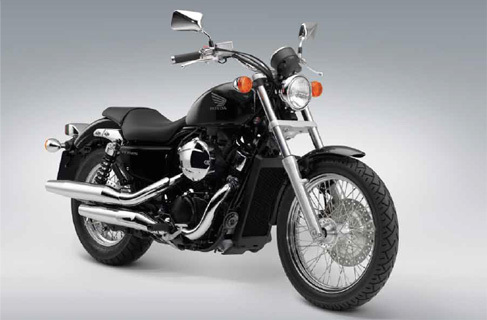 Prices for the Harley Street’s are unknown, the Honda VT750S is £5,999. With a bit of imagination, and build by cheaper Indian labour controlled by York or Kansas City quality control managers, it is possible to get close, the Sportster Iron 883 is just £6,995… very close. Did you know the Honda has a drum as rear brake? You may call this nostalgic, but it reminds me of my first Honda, a SS50 in 1973. And just a 5 speed gearbox vs 6 gears on the Street 750? Enough first comparisons, Honda must be crying by now. Living in Harley land with life HOG membership (no tattoos! ), I quickly realised there is one other thing these Milwaukee guys got right: accesories. While the downloadable Honda accessories catalogue for the VT750S features 7 items, that is seven in print, sept in French, sieben in German and nana in Japanese, the Harley-Davidson section for the Sportster alone is 65 pages, and yes, I can do the number 65 in earlier languages. I am confident the Street 750/500 will be as prominently featured in the 830+ page Harley-Davidson genuine Motor Parts & Accessories catalogue 2015, adding another kilo to its weight. Designed in Milwaukee, build in India or somewhere else in this wonderful world. And that is fine with me !